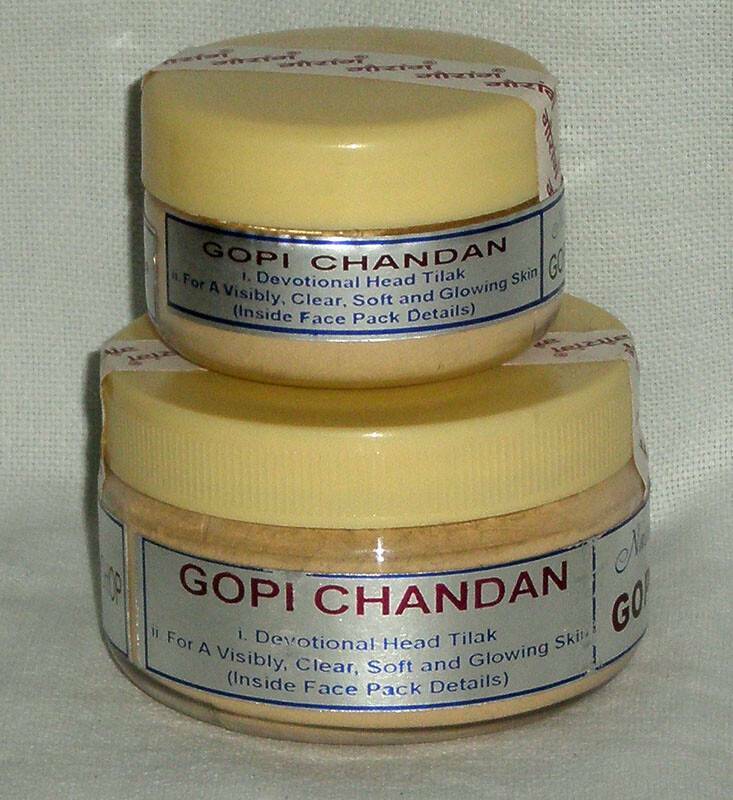 This is pure, natural gopi chandan ground into a very fine powder. It can be used for making face tilak and in deity worship. Small size has approx 50 grams and larger container has approx 100-110 grams.